The following post was originally published on TheStreet.com. NEW YORK (TheStreet) — It’s hard to check your email without hearing about the next “hot” penny stock that’s going to make you rich. But what are penny stocks, and can they really deliver on those promises? Here’s my 2 cents worth on penny stocks. Low-priced, small-cap stocks are known as penny stocks. Contrary to their name, penny stocks rarely cost a penny. The SEC considers a penny stock to be pretty much anything under $5. And while there are sub $5 stocks trading on big exchanges likeNYSE and NASDAQ, most investors don’t think of these when asked to describe a penny stock. Most individual investors look at penny stocks like Wall Street’s Wild West, an untamed world of investing detached from all the glitz and media coverage that comes with stocks that are traded on major exchanges. While the gains and losses can be pretty impressive in the penny stock world, they’re not often heard about elsewhere. Just because you don’t hear about penny stocks every day on CNBC doesn’t mean that penny stocks are without drama. Unfortunately, penny stocks have also garnered a reputation as a game filled with scams and corruption. Indeed, penny stocks could be your wildest ride yet as an investor. So then, if penny stocks usually aren’t traded on normal exchanges, where can you buy them? Like any other stock you would buy, you can purchase shares of a penny stock through your normal stockbroker — regardless of whether or not it’s listed on a major exchange. While cheap stocks listed on exchanges like NYSE and NASDAQ aren’t typically considered “penny stocks” per se, they can afford a lot of the benefits of penny stocks without quite so much risk. These exchanges have strict listing requirements, and while they might not allow for as much of an upside as “true” penny stocks can, they tend to be more reliable. More often, though, penny stocks trade on listing services like OTCBB and Pink Sheets. Over-the-Counter Bulletin Board, or OTCBB, is a quotation. Unlike Pink Sheets, which is just a quotation publisher, OTCBB maintains listing requirements (though they’re less stringent than those of an exchange). For this reason, OTCBB has a little bit of added legitimacy. Pink Sheets is a system that provides investors with quotation information on stocks that are registered with it. Unlike OTCBB, however, Pink Sheets isn’t registered with the SEC and doesn’t enforce any listing requirements. Bottom Line: Pink Sheets stocks are risky. With all the risk involved, why would anyone want to put his or her money in a penny stock anyway? The answer is volatility. Even legitimate penny stocks are plagued by very high risk. Two principal reasons that risk is so inherent in penny stock investing are low liquidity and poor reporting standards. What this means is that if you play with penny stocks you may end up with a whole lot of worthless stock that you can’t get rid of. Another concern for investors is the lack of stringent reporting standards for companies whose stocks trade on OTCBB or in the Pink Sheets. OTCBB does require that registered companies stay current with SEC filings, but those filings are the bare minimum — well below what an exchange-traded company would have to file. Since companies that are delinquent in submitting their filings to the SEC are still so accessible to individual investors, penny stocks have proven to be a treasure trove for dishonest people. That’s one of the reasons that the SEC has taken such an active role in making sure that the American public is protected from unscrupulous companies and individuals in the penny stock arena. For your broker to even sell you a penny stock, they’re legally required to send you a document outlining the risks of penny stock ownership. There’s a reason brokers and regulatory bodies go to such lengths to make sure that you’re not blindly investing in penny stocks; scammers are out there. What’s With the Penny Stock Spam? Spam is the scourge of the earth. It fills our e-mail inboxes with garbage and junk, and chances are if you get a decent amount of spam, you’ve seen messages designed to promote penny stocks. But the spam isn’t relegated to e-mail. Message boards, chat rooms, discussion groups — even advertisers on legitimate websites — are all home to their fair share of the stuff. It goes without saying that you shouldn’t go out and buy a stock that’s praised in a sketchy e-mail, but some people do, and scammers make millions of dollars off of unsuspecting investors. One of the most prevalent types of penny stock scams out there is the “pump and dump.” In a pump and dump scam, the bad guys load up on a cheap and worthless stock, convince inexperienced investors to buy it at inflated prices (pump), and sell their shares off when the investors push the price up enough (dump). For help on avoiding pump and dump scams, check out the SEC’s article on the matter. So now that you know the scary side of penny stocks, how can you cash in on the potential growth that they have to offer? 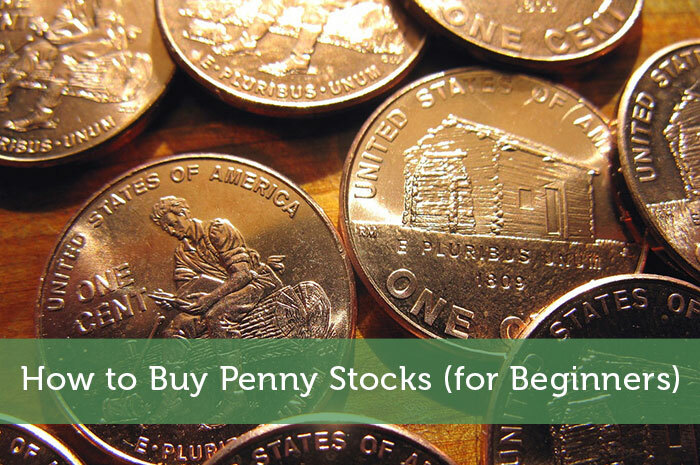 There are three things you’ll want to look for when picking a penny stock to make sure that you don’t get penny stuck: Underlying business, financials, and footnotes. When it comes to penny stocks, a company’s underlying business is even more important than it is in exchange-traded stocks. That’s because the penny stock world is home to “shell” companies that are legally incorporated, but don’t have any business operations. Shell companies are a great opportunity for scammers, because they can be easily set up as a “pump and dump” stock. Look for companies with real, sustainable business operations and you’ll be one step closer to finding a good penny stock. Like with any stock, a penny stock’s financials are an essential tool for investors. But with penny stocks, the question is more about the quality of the financial statements. Does the company file on time? Who was the auditing firm? Do the company’s financials look healthy? If you can answer yes to those three questions, it’s time to stroll through the footnotes. In most companies, footnotes are an oft-overlooked, yet very important part of its filings. And while you might be able to get by without reading GE’s footnotes, miss the footnotes for a penny stock, and your portfolio might miss its mark. Since penny stocks are smaller companies that are more prone to things like related-party transactions and non-GAAP accounting oddities, don’t walk around the footnotes for a penny stock. Fact: Penny stocks are inherently risky. Fact: Penny stocks can be fodder for scammers. Fact: Penny stocks can make you a lot of money. Even with all the risks and drawbacks involved in penny stocks, many investors simply find that the potential windfalls are well worth it. There’s a reason that penny stocks remain popular among a brave clique of investors: Penny stocks can deliver a very impressive return. Hopefully, you’ll find that your new penny stock know-how makes the Wild West of investing a little more tamable. Jonas Elmerraji is the editor and portfolio manager of the Rhino Stock Report, a free investment advisory that returned 15% in 2008. He is a contributor to numerous financial outlets, including Forbes and Investopedia, and has been featured inInvestor’s Business Daily, in Consumer’s Digest and on MSNBC.com.